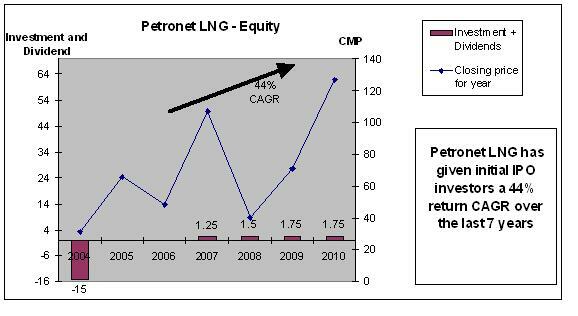 Petronet LNG is a gem of a stock that has given equity investors safe and high returns for the last 7 years. A new LNG terminal at Kochi, Kerala. The varied customer base includes Power plants, household and commercial piped gas, fertilizer plants, Industrial boiler fuel, etc. Turnover in 2010 was Rs 10,600 crores with PAT at 404 crores. This stock had it’s IPO in March 2004 priced at Rs 15. At CMP of Rs 126 today, the stock has shown a 44% annualized return over the last 7 years! 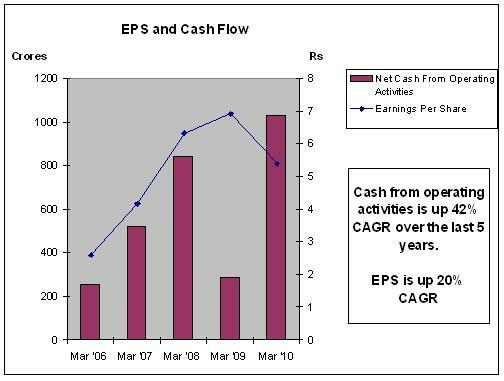 Cash flow and EPS are showing a robust growth rate – see graph. 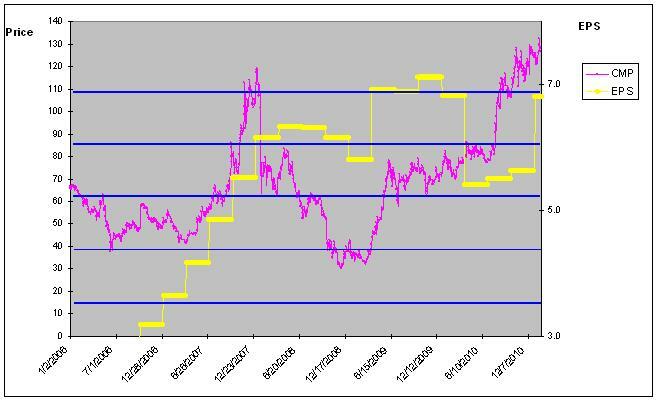 Dip of EPS in 2010 is expected to recover substantially in 2011. 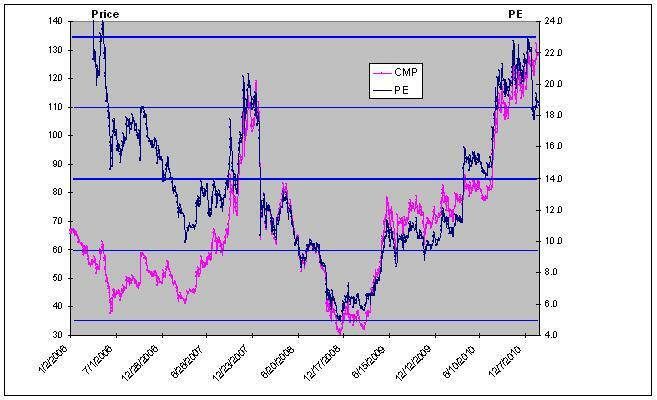 Price and PE chart shows that PE is at upper end of 5 year range. Some expectations are priced in of capacity additions and likely revenue growth. 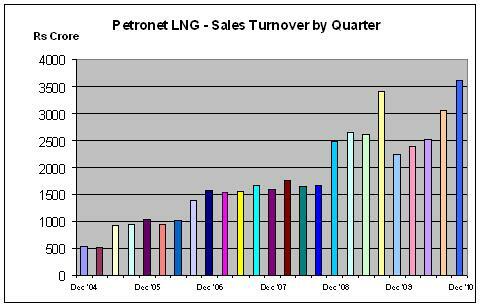 Gas is cleaner and preferred as fuel compared to coal and oil (polluting).